Matt Fertig meets Mr. Speed! When Matt Fertig started at the Purple Cat, he asked me what my all-time favorite band was. I said “KISS.” He jumped up and down and said, “me too!” We instantly became buddies and would talk about KISS on a daily basis. 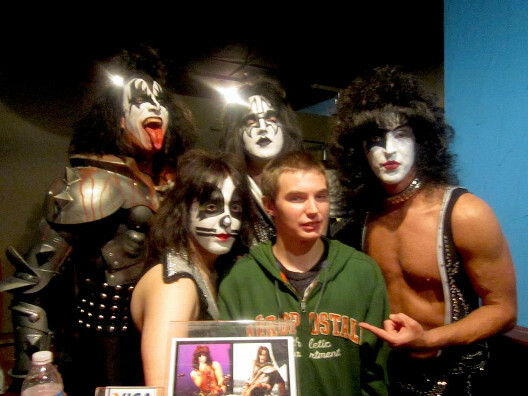 One day I showed him a picture of my friend’s KISS cover band, and Matt thought they were the real members of KISS. I told him that this band is called “Mr. Speed,” and I am good friends with the drummer. He said “I wish I could see Mr. Speed in concert!” A few months later Mr. Speed was touring and happened to be playing a show in the Youngstown area. I contacted the drummer, Andrew Sgambati, and asked if there was any way he could get some free tickets and VIP passes for a good friend of mine. After learning that this would be Matt’s first concert ever, they were more than happy to give Matt the full access pass to the show held at The Rodeo in Austintown, Ohio. I was happy that I was able to get him free tickets, and I also wanted Matt to have enough spending money to buy whatever band merch he wanted. I wrote him a Golden Ticket to give him the chance to do just that. When Matt arrived he had a dozen roses for me thanking me for giving him this opportunity. I had never felt so honored in all my life; having Matt show such appreciation warmed my heart like never before. We had so much fun at the show. I dragged him to the front row, and we sang every single song together! I even caught both drums sticks during the show and gave them to Matt! I’d never seen him smile so big before. It was awesome! This was an amazing experience for not only Matt but myself as well. 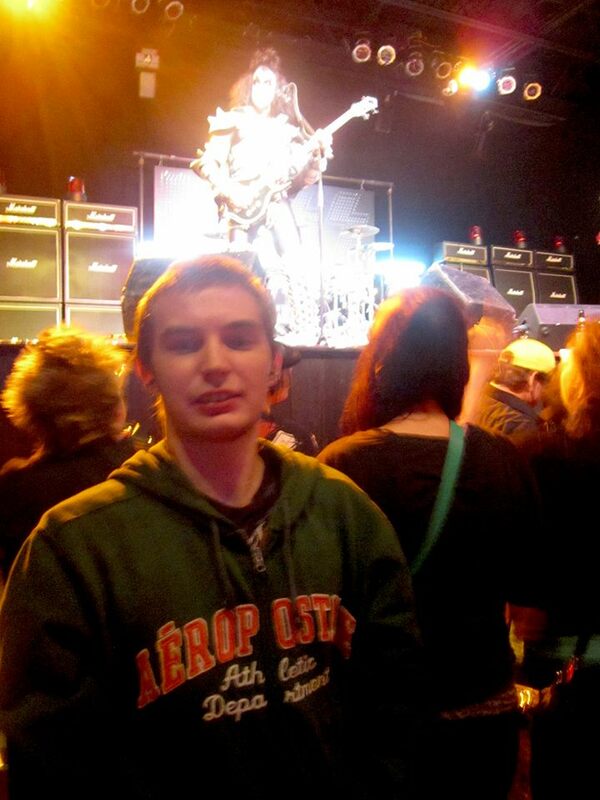 He met the band after the show and got their autographs and a picture with the band. Matt continues to talk about what a great time he had that night… what a great time indeed!